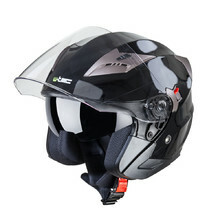 Motorcycle helmets are essential gear for all motorcyclists, whether they are the drivers or passengers. 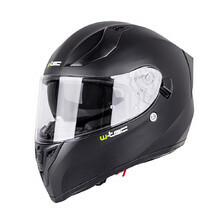 It is an unequivocal rule that you do not sit on a motorbike without a helmet on. 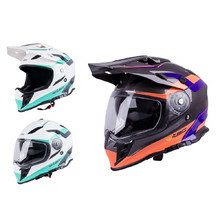 That’s why you must take care to choose the correct one. 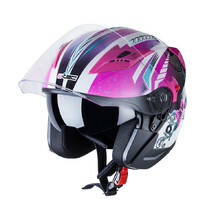 However, a modern motorcycle helmet is also a fashion item. 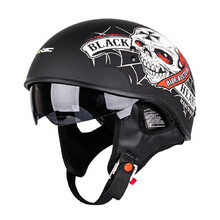 There are elegant and sophisticated open scooter or chopper helmets, as well as full face helmets for road motorcycles. 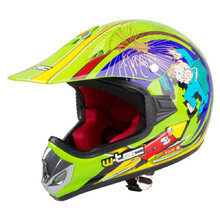 All modern children’s motorbike helmets also have many useful and appealing features. 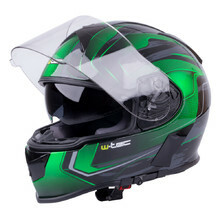 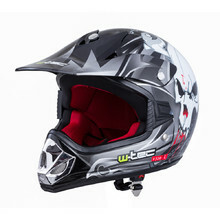 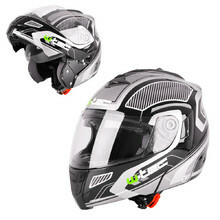 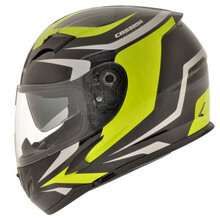 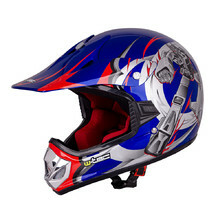 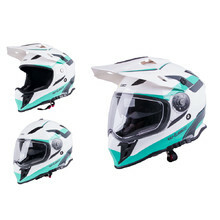 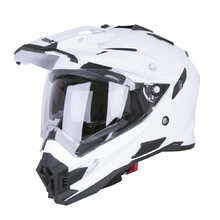 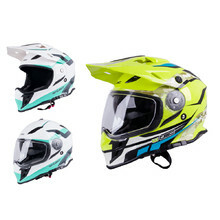 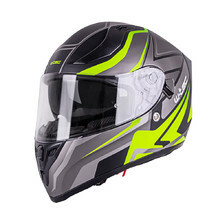 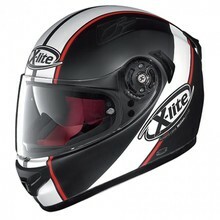 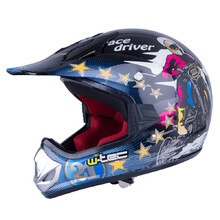 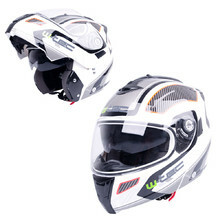 Choose from helmets that meet the highest European safety standards: scooter helmets without a chin guard, full face helmets for road and touring motorbikes protecting your entire head, lighter motocross helmets for maximum chin protection or similar quad helmets, touring helmets for fast motorbikes, open helmets for slower motorcycles, modular helmets to be used with goggles, retro helmets and helmet accessories. 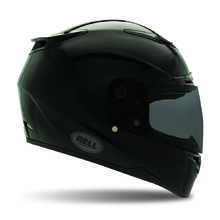 Wide shield, sun visor, comfortable and removable padding, fastening through D-rings.